Welcome to The Abbey whisky bar, situated in Edinburgh, a short walk from the Meadows and just 1.5 miles from the city centre. Our specialty is whisky, traditional ales and fresh Scottish fayre. The Abbey is a true slice of Edinburgh. Our patrons include locals, tourists, professionals and students. The reason we have such a broad appeal? – there isn’t anyone who doesn’t love great quality food at great prices. 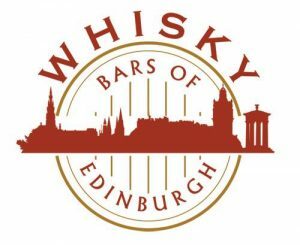 There are plenty of reasons to visit us – with over 200 whiskies we are one of the ‘Whisky Bars of Edinburgh‘ and run various whisky tasting events (just contact us for details). We have been awarded a Certificate of Excellence on TripAdvisor. We have been awarded the Cask Marque, which is an award for pubs which serve great quality cask ale. We have been voted as one of the Top 10 Best Whisky Bars in Edinburgh by This Is Edinburgh – the official guide to Edinburgh. We also have have 7 television screens which means you can relax with a drink, a bite to eat and catch up on the tennis/golf/rugby/football or whatever other sport you are into! My favorite pub in Edinburgh, love it and always have a pleasant meal there when in Edinburgh. I like the huge breakfast, the huge list of whiskey, the charming atmosphere, everything really :). 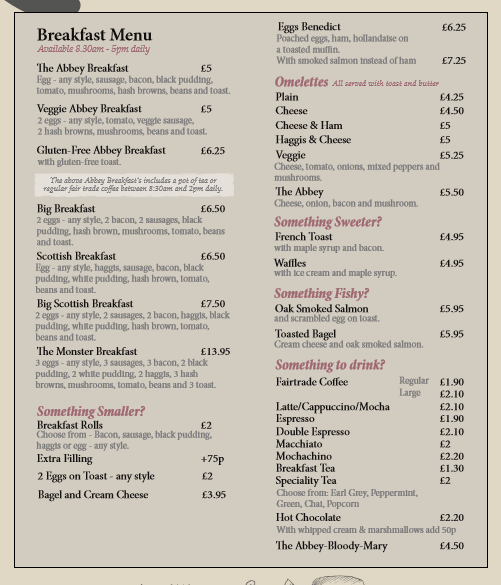 5* I visit the Abbey Bar for lunch at every opportunity when in Edinburgh. It is a favourite meeting place for friends, a good traditional pub atmosphere, great selection of draught beer and excellent and varied pub food . I have visited many pubs in Edinburgh but the Abbey is consistently good, staff try hard, and the manager usually stops by to check that all is OK. What works well is the space given for people looking to eat and drink and to people who come in to watch the sports on TV. It works. A good old fashion pub with value on service. Great food and surroundings. Worth the visit and good value for money. 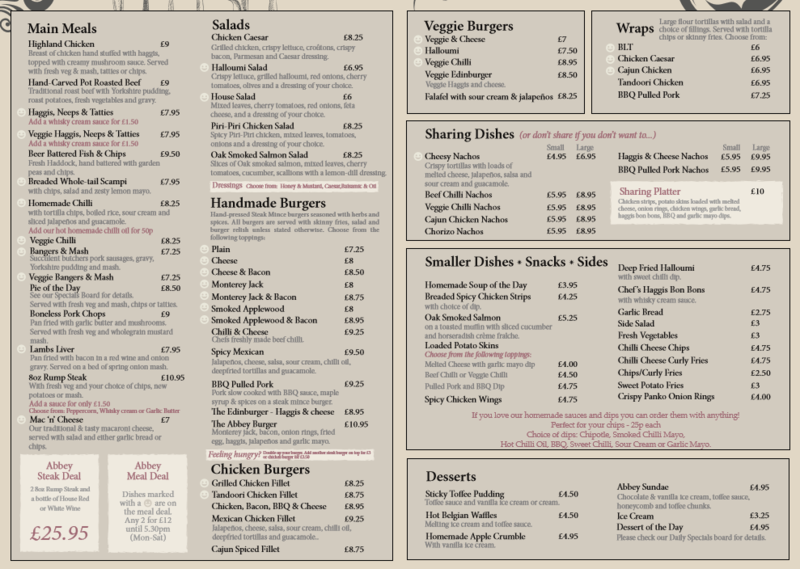 Wide selection of meals -traditional Scottish dishes and home made pies.